States of Matter is an important part of Chemistry in the syllabus of UPSEE Entrance Examination 2018. Find chapter notes of chapter States of Matter based on the latest syllabus for UPSEE Entrance Examination 2018. 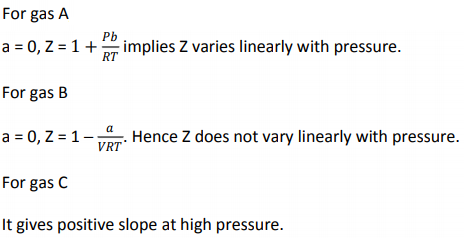 About 1-2 questions are always asked from this chapter in UPSEE examination. Chapter notes are very important from the viewpoint of any engineering entrance examination. Every student wants to cover maximum syllabus in minimum time as the competition is increasing day by day. Find chapter notes of chapter States of Matter including important concepts, formulae and some previous year solved questions for of UPSEE Entrance Examination 2018. In these notes, UPSEE aspirants will get all important topics related to States of Matter like Boyle's law, Charles's law, Gay Lussac's law, Avogadro law, ideal gas equation, Dalton's law of partial pressure, compression factor, Vander Waal's equation etc. About 1-2 questions are always asked from this topic in the examination. Students can use this for quick revision just before the examination. A certain container holds 3.87 g neon at STP. What mass of neon will it hold at 100°C and 10 atm? 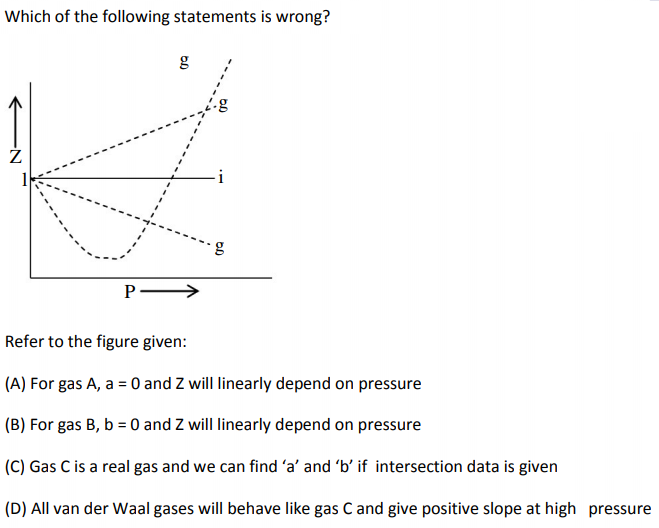 Van der waals' real gas, acts as an ideal gas at which condition? 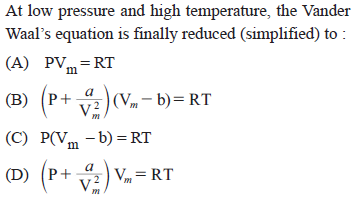 At higher temperature and low pressure real gas acts as an ideal gas.